Hello there, just curious about the rut. I have a LEH moose draw for Oct 15 to the 31st this year and was wondering if the rut will be in full swing.. My hunt will be in 100 mile house BC . Thanks in advance for any advice you may have to make this a memorable hunt with my son which will be his first. Your moose hunt coincides with the very end of the rut. Not to say that Bulls aren't going to be looking for un-bred cows but there won't be as many. Late rut can be an opportunity for immature bulls to breed as the more mature bull will have spent their energy. One thing to remember about moose is that after the rut they don't just vanish. They are still there! Post rut bull moose will return to the high country, to secluded areas with abundant feed where they can eat and rest to regain weight to last them through the winter. 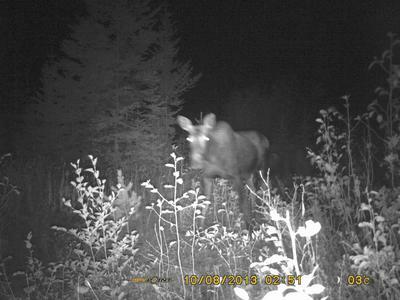 Bull moose during the rut are more vulnerable as they wander about looking for cow moose in estrus. During the prime of the rut, October 1st - 15th Bulls and cows alike are going to be quite vocal. Late rut, as your hunt is; there can still be un-bred cows about as well as Bulls on the lookout for them. Because your hunt is a little later you may not get Bulls responding to your cow calls (you are calling, right? ), but that doesn't mean they don't hear you or won't come investigate. 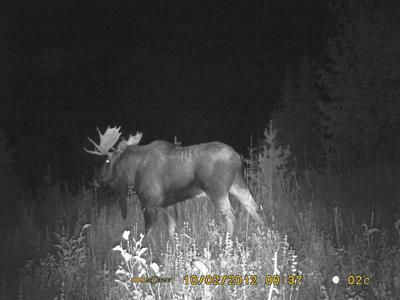 Younger bull moose that have been beaten by their elders will come around hoping for that chance to breed, but may not vocalize there approach for fear of meeting a bigger bull. You have two weeks to get it done, I wish you and your son great success and wonderful memories. Thanks Mark...hopefully we see something .